EQ Dashboard / Deliver an integrated approach to emotional intelligence assessment, feedback, and learning with EQ Dashboard. EQ Dashboard delivers an integrated approach to emotional intelligence assessment, 360 feedback, and development. 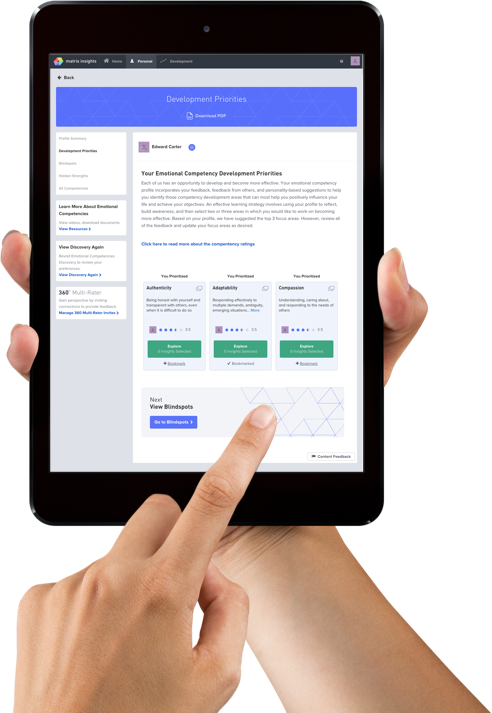 The EQ Dashboard uniquely integrates online tools, resources, and practical action tips that deliver a personalized experience to improve your people skills. Research consistently shows the importance of emotional intelligence for individual and team success. EQ, or Emotional Quotient, reflects your ability to influence others, deal with conflict, build relationships, manage stress, and much more. Developing EQ competencies directly impacts your ability to achieve personal and team objectives. 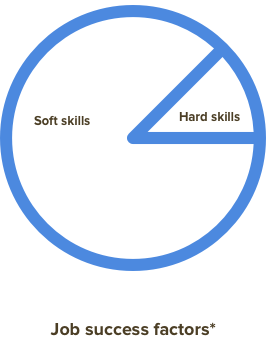 * Research by Harvard, Carnegie Foundation and Stanford show that 85% of job success is derived from well developed people (soft) skills and 15% from technical (hard) skills and knowledge.